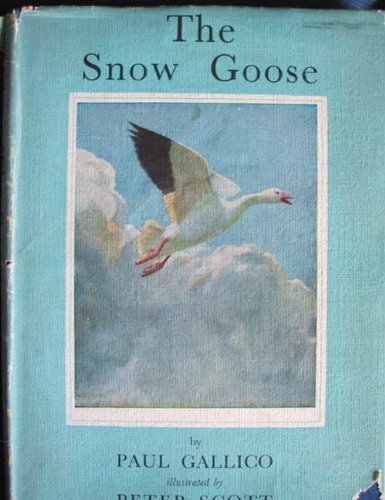 This entry was posted in Books and tagged Dunkirk, Paul Gallico, Peter Scott, The Snow Goose by Katrina. Bookmark the permalink. This story inspired the band, Camel, to produce an LP based on it. Gallico appears not to be too taken with its lyrics, apparently infringing copyright. I vaguely remember Camel but not the LP. I must look it up. Thanks. I was given this book one hot and sunny Christmas in Australia – a setting so totally unlike that of the book. It must have been back in the mid sixties, I guess. I clearly remember crying at the end. It became one of my all time favourite stories. It is a very sad story and when it was first published there must have been so many families who had lost sons/husbands at Dunkirk. Thanks for dropping by and taking the time to comment.